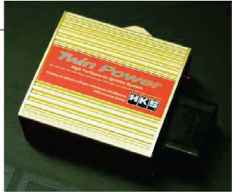 The Max Energy Sport Power Programmer was designed to optimize the vehicle's factory spark and air-fuel curves over the entire rpm band for more power while allowing the end-user to modify the vehicle's top speed, rev limit, check and clear engine diagnostic trouble codes (DTC), 0-60 throttle restrictions, and adjust the VTEC engagement point (if applicable) to customize the power band of the engine to compliment any additional bolt-on power adders. 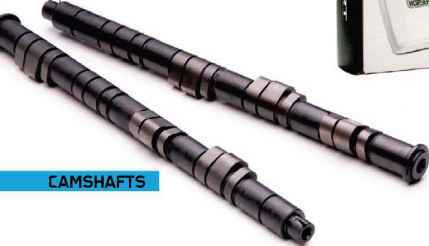 MSRP: $529.00 to $1,699.00 CT Engineering stainless steel headers are manufactured with TIG-welded, T-304 stainless steel tubing for durability and appearance, and are designed to maximize mid-range power and torque. All headers (like the '06-'08 Civic Si model shown here) are cross-tested for precise fitment before they leave the factory. 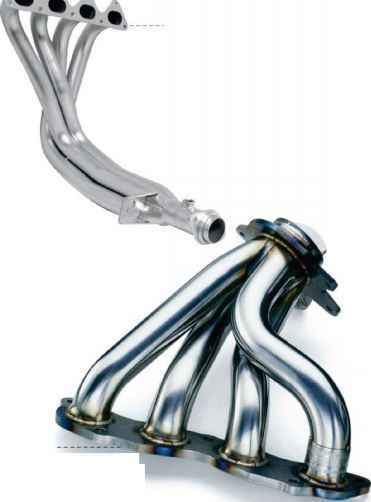 The popularity of V-6 applications in the sport compact market provided DC Sports an opportunity to design a unique 3-into-1 header system (Nissan VQ35DE model pictured) with equal-length primary piping that outperforms original equipment for more power across the entire rpm range. Q&A WITH JIM MCFARLAND, SEMA TECHNICAL CONSULTANT, ON CARB PARTS CERTIFICATION. What is CARB and what do they do? The California Air Resources Board (CARB) is charged, in part, with the certification, regulation, and enforcement of virtually any environmental product or practice in the state that could potentially affect ambient air quality. How does CARB facilitate the certification of affected automotive products? CARB handles the administrative process that includes responses to questions and the processing of certification paperwork. The agency also serves as a resource to assist companies affected by California's environmental laws. What are the steps to getting products CARB certifi ed? Applicants must first identify the makes, model years, and engine families to be certified in the Executive Order (E.O.) process. They then obtain E.O. forms (either from CARB or the SEMA "Black Book" found on www.SEMA.org), and submit the required material to CARB. Applicants then contact an emissions testing facility to notify staff about pending testing. Upon CARB approval of the E.O. application, a "test letter" is issued to the applicant and testing begins. It is then the responsibility of the applicant to work with the test facility until satisfactory data are produced. The test facility submits its findings to CARB and, if all requirements are met, an E.O. is issued to the applicant. Currently, the EPA acknowledges a CARB E.O. as being "reasonable basis" for meeting the anti-tampering provisions in the Federal Clean Air Act, thus legalizing emissions-related parts for use outside the state of California. How long does CARB certifi cation last? Typically, an applicant will certify to the latest model year (MY) for which the product will be sold. From that point, CARB may apply a "grandfathering" process. As an example, a tuning product may be issued an E.O. for MYs up to 2010, and generally, all prior MYs will be covered. If an applicant believes the O.E.M. tuning platform remains the same or essentially the same from MY 2010 to 2011 and CARB agrees, the agency may extend ("grandfather") the original E.O. to include MY 2011. If the O.E.M. tuning platform changed substantially from 2010 to 2011, chances are that the agency will require additional tests. 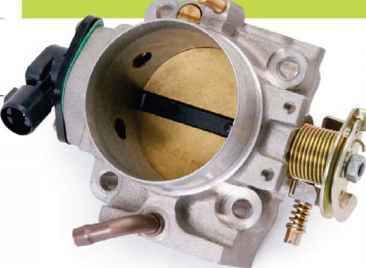 How does CARB legalization affect the tuning market? In California and in those states that have adopted California's emissions standards, emissions-related products require certification to be acceptable during smog check inspections. These inspections generally include a "visual" test, where a vehicle is inspected to determine if any non-stock emissions-related parts have been installed. If installed emissions-related products have been certified, the smog check test proceeds. This latter phase consists of either a tailpipe emissions test or OBD-II readiness check, depending upon the regulations in play by the state where the vehicle is being tested. Right now, the trend is more toward OBD-II readiness checks, largely because of the expense of keeping smog check station testing equipment up to date year after year. 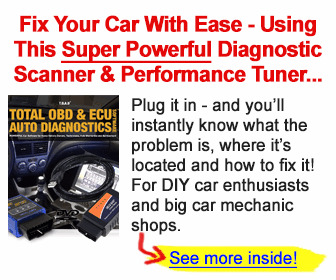 An OBD-II readiness check only involves the use of a scan tool. The author of SEMA's current version of the "Black Book," Jim McFarland is an automotive columnist and engineer, and was previously a member of the SEMA board of directors with over thirty years of experience in the performance products industry. The SEMA "Black Book" was written as a step-by-step guide to help member companies obtain CARB emissions certification, and is available for download in an electronic format on the SEMA website. For more information on CARB emissions certification or to download the "Black Book" files, visit www.sema.org/black-book.